CHAPTER 1: Maria becomes QUEEN. CHAPTER 2: Maria inserts herself into the Women’s Suffrage Movement, highjacks the name of a legitimate organization, the National Women’s Party, and then. uses it for her own selfish purposes. Maria compares herself to Susan B. Anthony and other notable women, inserting herself into the spotlight of women’s history. Let’s be clear, Maria stole the National Women’s Party’s name, historical images, and written descriptions of its history and leaders then made this significant organization that has contributed to increasing the rights and equality of women, ALL ABOUT HERSELF! Anne Frank was a teenager who was murdered in the Holocaust, perishing in a concentration camp with her sister—and most of her family. If Maria does not have respect for Anne’s memory, and how the Frank family has chosen to honor Anne’s life—then how can Maria be trusted to advocate for anyone else or protect her own children? 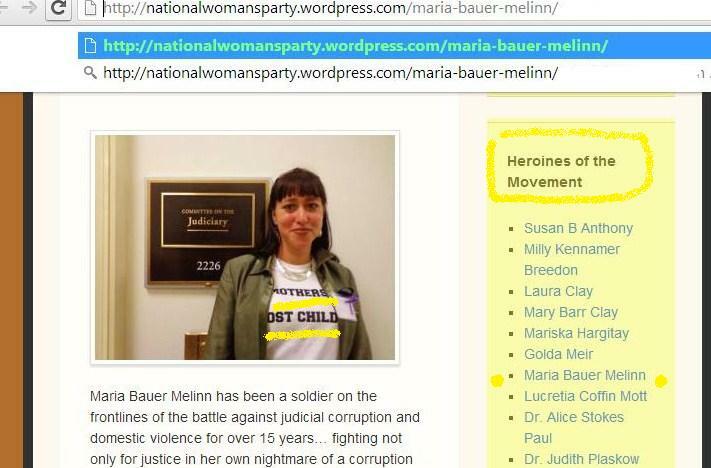 CHAPTER 4: March 2012, Maria becomes president of the American Mothers Political Party (AMPP), an organization created by fellow narcissists who strive to be the center of attention, attempting to alter reality if necessary. Just two examples, Lorraine Tipton aka Mama Liberty compares herself to a gun toting Statute of Liberty. And Claudine Dombrowski has rewritten the Wizard of Oz to give herself a starring role in it. Chapter… Do you really want another chapter? History repeats itself until we learn from its mistakes. Look at the pattern of Maria’s actions; that proves she has a strong need to seek attention without any remorse for using people or hurting people in the process. She even goes so far to steal historical names and the identity of historical figures to feed her own ego. And yet so many people come to Maria, and the others like her for help—Claudine, Lorraine, AMPP, Abused Swan and Mothers of Lost Children (MOLC) etc. *If you have a history of abuse or trauma, you could be vulnerable to attracting other abusers into your life while missing the red flags. This does NOT mean that you are a bad person but that abuse has left its mark on you, and you must be more diligent in educating yourself or seeking support to protect yourself. *Just because someone portrays themselves as an “advocate” does not make them one. And just because an advocate is a female does not mean she is a trustworthy person. Abusers can be male or female, come from all backgrounds and cultures, and are skilled at manipulation to hide who they really are. 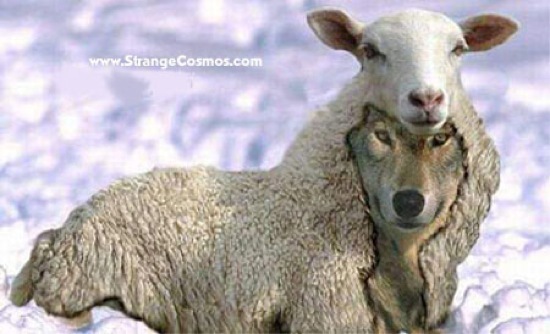 You have to look at actions and patterns of behavior to determine if a person can be trusted. How long has this person been involved in advocacy? Does this person understand YOU, YOUR child and YOU and YOUR child’s needs? Will this person be sensitive to the fact that YOU have the ultimate final decision making power? Can this person be objective? What evidence is there of this fact? Can this person maintain a professional demeanor? Does this person seek win-win solutions? Does this person understand his/her professional limits? What references are available and what is the reputation of this advocate?